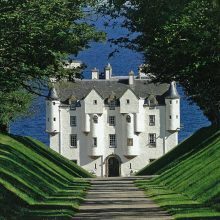 Mary Miers’ Highland Retreats: Washington D.C.
We are pleased to co-sponsor The Royal Oak Foundation’s lecture with Mary Miers, Highland Retreats: The Architecture and Interiors of Scotland’s Romantic North. Until the late 18th century, northern Scotland was regarded by outsiders as an alien, barbaric country into which only a few intrepid travelers dared to venture. The Jacobite rebellions reinforced the impression that the Highlands were a lawless land scarred by centuries of clan feuds and economic crises. However, the Romantic Movement in literature and art changed that perception through images of the Celtic hero in sublime settings, attracting painters and writers such as Walter Scott, William Wordsworth, John Keats and J.M.W. Turner and precipitating tourism to the Highlands. Simultaneously, the north of Scotland was appropriated as a holiday playground for the rich, many of whom were attracted by the sporting potential of its pristine rivers and glens teeming with wildlife. Newcomers adopted the region as a recreational paradise and left an astonishing legacy of architecture and decoration inspired by the romance of the ‘reinvented’ Highlands. Known as shooting lodges because they were designed principally to accommodate the parties that flocked north for the annual sporting season, these houses range from Picturesque cottages ornées and Scotch Baronial castles to Arts and Crafts mansions and modern eco-lodges. While their designs responded to some of Britain’s wildest and most stirring landscapes, inside many were equipped with the latest domestic technology and boasted opulent decoration and furnishings from the smartest London and Parisian firms. Historian and author Mary Miers will explore the history and social context of these houses, some of which survive in their original state and are still owned by descendants of the families who built them. 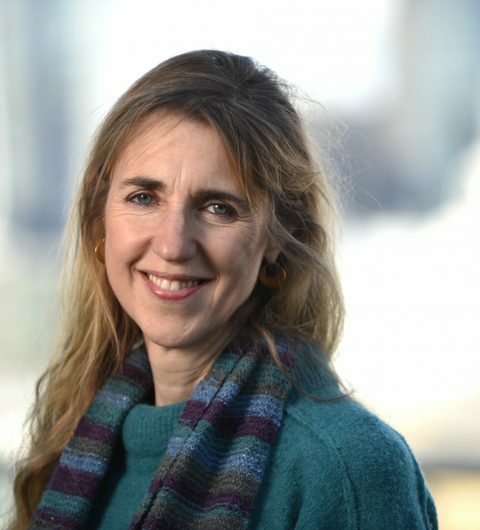 She will illustrate her talk with ravishing photographs from the famous Country Life Picture Library, combined with many historic images that have been previously unpublished. Mary Miers works as Fine Arts and Books Editor for Country Life, commuting each week from her home in the Highlands of Scotland to the magazine’s offices in the south of England. Her books include: American Houses: The Architecture of Fairfax & Sammons; The English Country House; The Western Seaboard: an Illustrated Architectural Guide and Highlands & Islands: an Anthology of Poetry of Place. Her latest book and the subject of her talk is Highland Retreats: The Architecture and Interiors of Scotland’s Romantic North (Rizzoli 2017). Use co-sponsor code 18FNTSF for the member ticket rate! We are pleased to co-sponsor The Royal Oak Foundation's lecture with author Mary Miers.